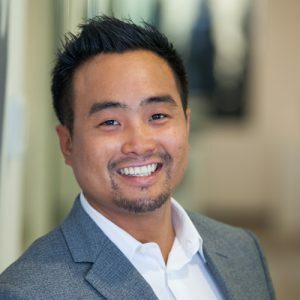 Johnny Huynh joined First Western Properties in 2014. Prior to that Johnny has a 10-year background in business banking and sales. With his experience and current knowledge, he is able to focus on Landlord representation for general retail leasing and representing Tenant’s and Buyers in identifying, analyzing, leasing and acquiring target properties. A short list of Johnny’s satisfied clients include: University Bookstore Inc. , Seattle Sourdough Bakery, ABC Learning Center, AAMCO and Poke Lover Inc. Johnny’s most recent notable transaction include the leasing of the 19,000 sf UW Book Store in Downtown Bellevue. He has valued his time at First Western Properties because of how everyone at the firm works together as a team to get deals done.